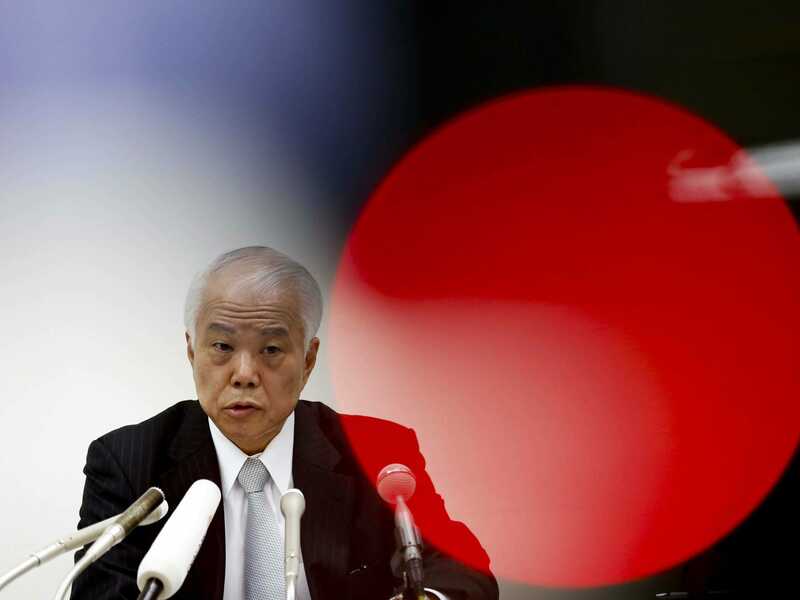 REUTERS/Thomas PeterExecutive Vice President of airbag maker Takata Corporation Yoichiro Nomura attends a news conference in Tokyo, November 6, 2014. Good morning! Here’s what you need to know for Friday. 1. The FBI arrested on Thursday the alleged operator of “deep web” drug marketplace Silk Road 2.0, former SpaceX employee Blake Benthall. 2. A former safety expert for the European Space Agency told the Financial Times that Virgin Galactic, whose spacecraft exploded killing one pilot last week, did not have enough safety precautions in place. 3. Honda has expanded its recall of Takata-made airbags — now among nearly 8 million cars made by 10 automakers — because the airbags can explode, causing shards of metal to fly out into the passenger compartment. 4. In light of the recall, The New York Times reports that Takata allegedly deleted results from 2004 tests showing the potential risks of its airbags. 5. Israel has reportedly banned entry visas to citizens of the three West African nations worst hit by Ebola, — Sierra Leone, Liberia, and Guinea — according to Haaretz. Ayatollah Ali Khamenei in October about fighting Islamic State militants in Iraq and Syria, The Wall Street Journal reports. 7. The European Central Bank said on Thursday that it’s prepared for further stimulus if it’s needed. 8. Chinese officials bought so much illegal ivory on a visit to Tanzania in 2013 that local prices doubled, a report by Britain’s Environmental Investigation Agency has revealed. ormer Navy SEAL Robert O’Neill’s claim that he was the man who shot and killed Al Qaeda founder Osama Bin Laden in 2011. 10. Twitter is reportedly opening a new office in Hong Kong next year, according to The Wall Street Journal. Here’s a Christmas ad that will make you cry.